PlayStation 4 will be the future best console to play in the future. It has new features and graphics compare to PlayStation 3. They haven’t shown the Whole Ps3 set but they have shown the Controller how it will look like. In my opinion am thinking that the Ps3 will be looking like the PlayStation 2 console. That’s a good thing because it will bring back Good memories when you was younger playing the PlayStation 2. But on the PlayStation 4. On the PlayStation 4 you cannot insert a PS3 or an PS2 game inside the Ps4. 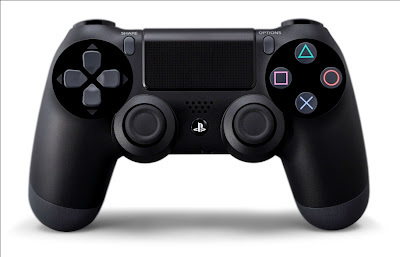 The controller will 100% look like exactly like this when the PlayStation 4 comes out.